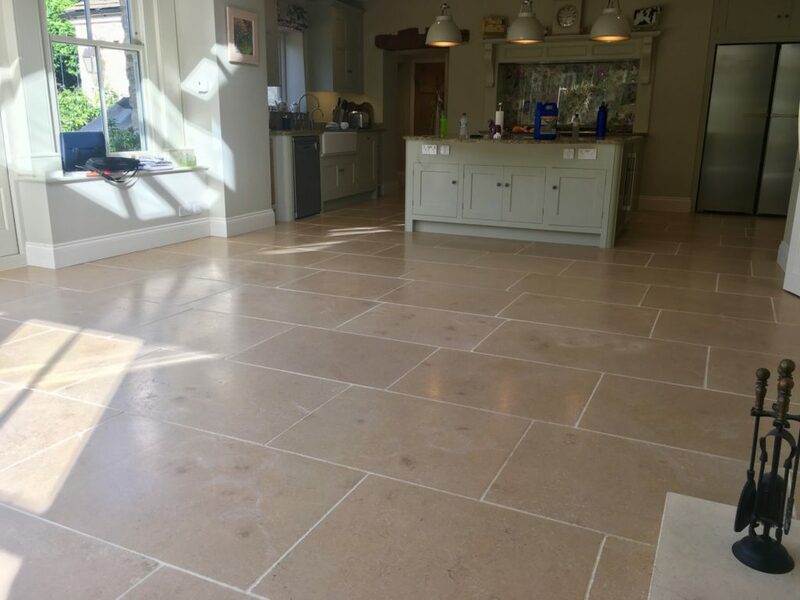 We have been restoring, grinding, honing, polishing and sealing natural stone floor tiles for a number of years in Cheltenham, Gloucester, Stroud and Cirencester. 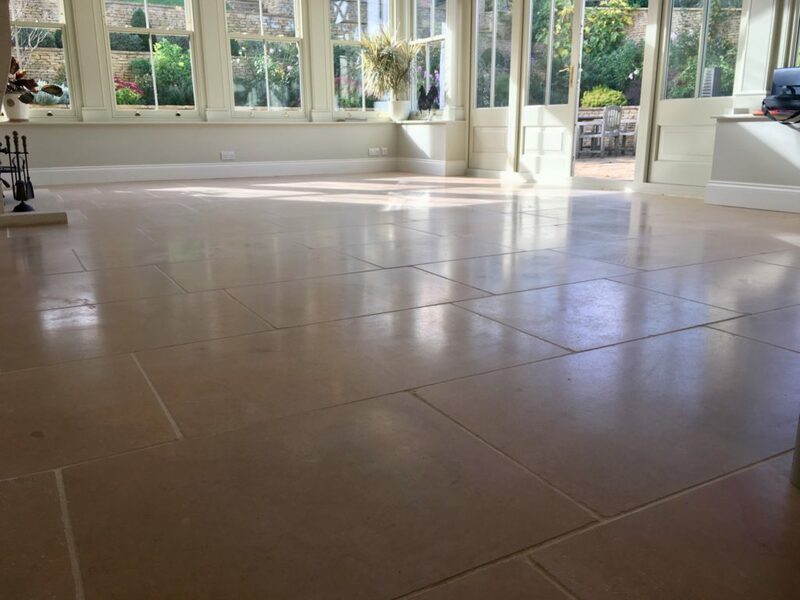 Much of the stone floor cleaning work takes us around Gloucestershire, the Cotswolds and beyond. 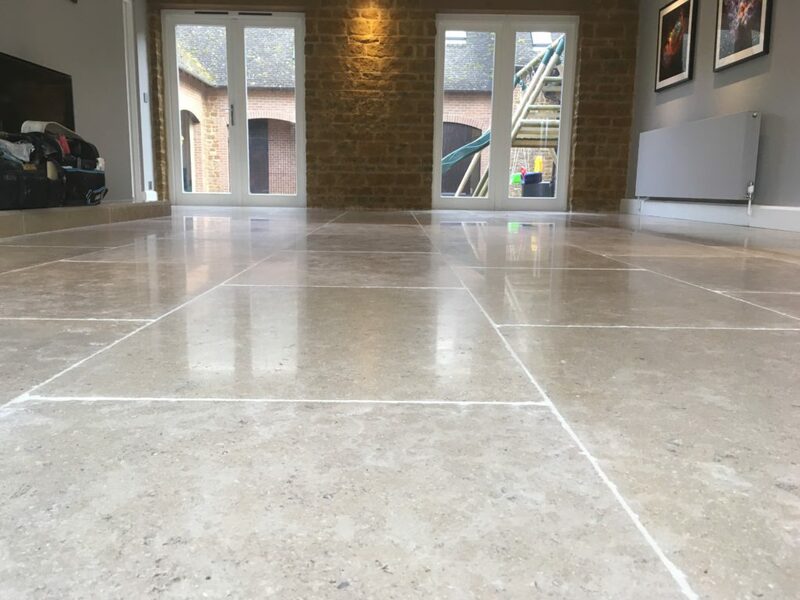 Our extensive experience of stone floor cleaning has given us a broad understanding of stone and the problems that can occur. 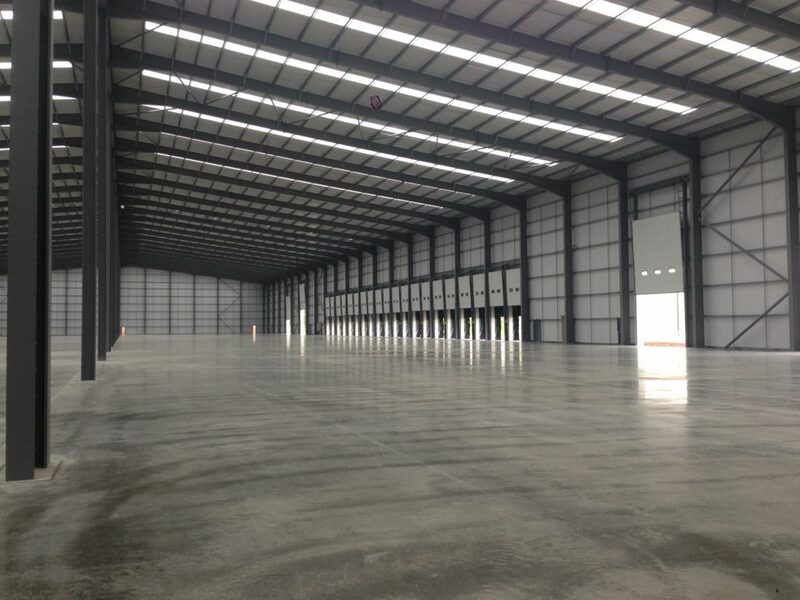 We began cleaning stone in Cirencester sines the early days with a mop and a scrubbing brush in 1999! 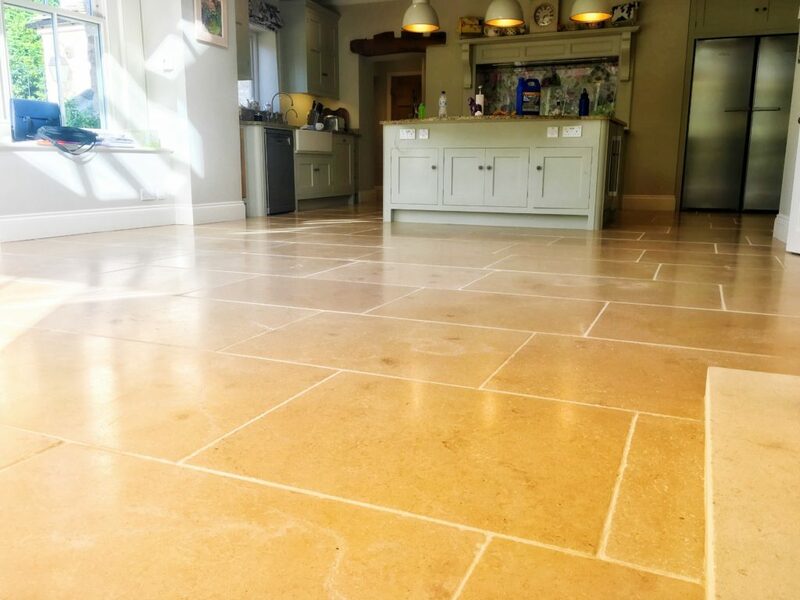 As our experience grew and technology within the industry advanced we began importing specialist products & equipment from abroad, giving us the ability to get the best out of the stone floors around the Cotswold area. 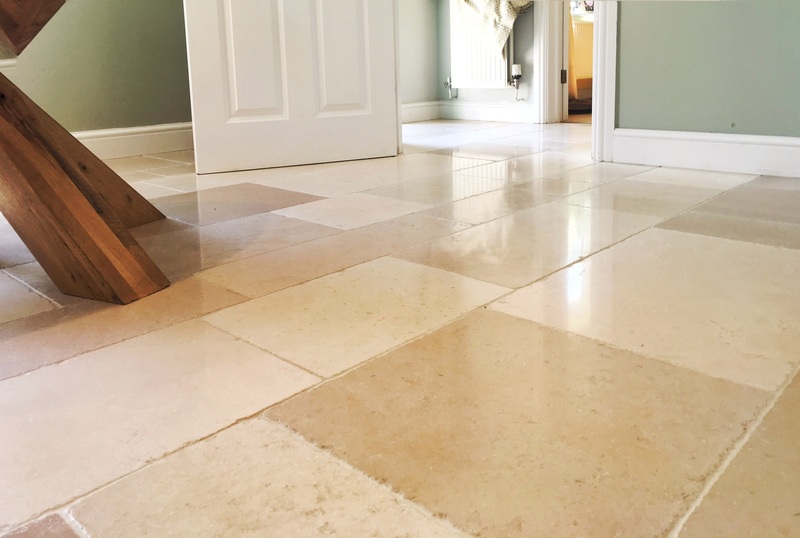 Call us for a free consultation to discuss how we can improve your stone floors today! Sealing your stone floor will enhance the natural beauty and protect the surface. Stone can discolour and become dull if it is left unprotected. 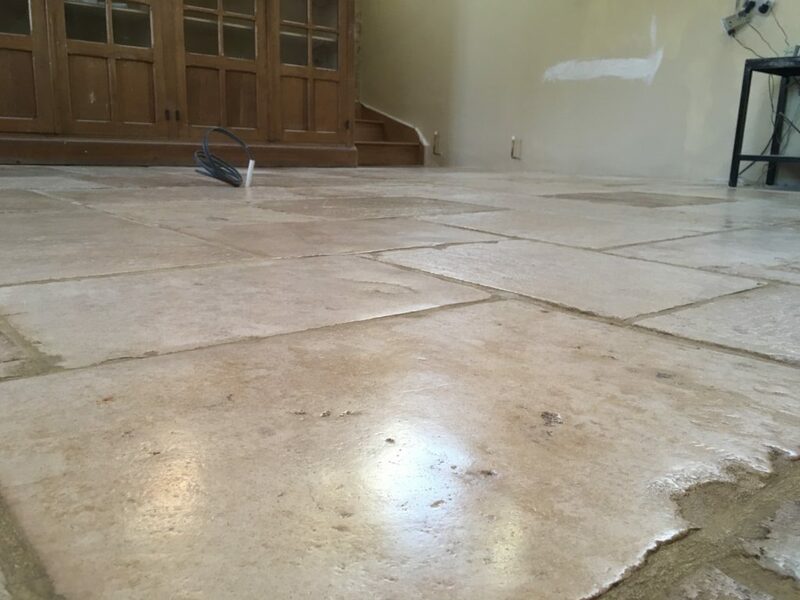 Some softer stone surfaces like Cotswold Limestone will begin to break up with usage. Most natural stone floor tiles are porous, allowing moisture to penetrate the stone. Sealing stone prevents the water and soils penetrating the stone making it water repellant, this also has the benefit of making maintenance of your stone floor more manageable. There are many professional sealing options from a high gloss shine to stone surface protectors that leave no visible appearance on the surface. This is know as colour enhancing impregnation and brings out the natural colours and characteristics of your stone.Sealing other floor typesMan made floors can be completely rejuvenated with a professionally applied seal. The seal will make your ongoing maintenance more effective while improving the look and durability of the flooring surface. 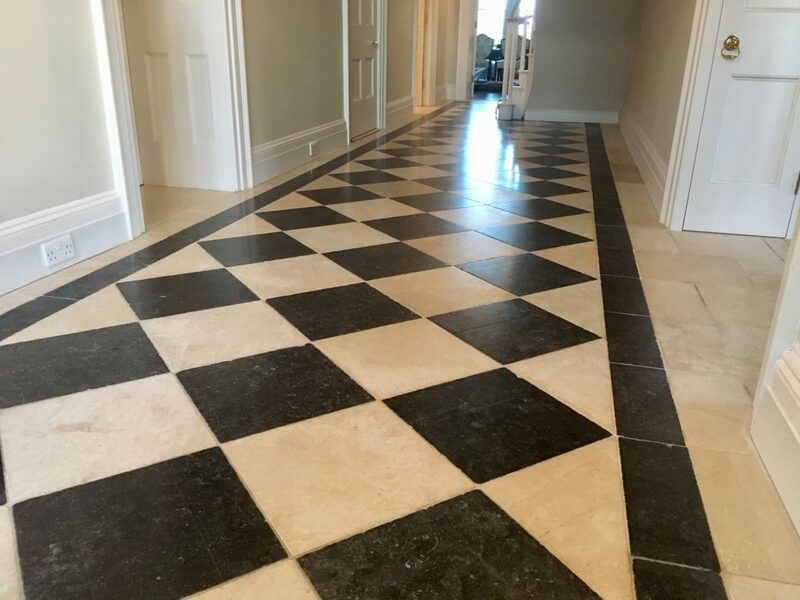 We have been cleaning, restoring and improving natural stone floor tiles for a number of years in Cheltenham, Gloucester, Stroud and Cirencester. 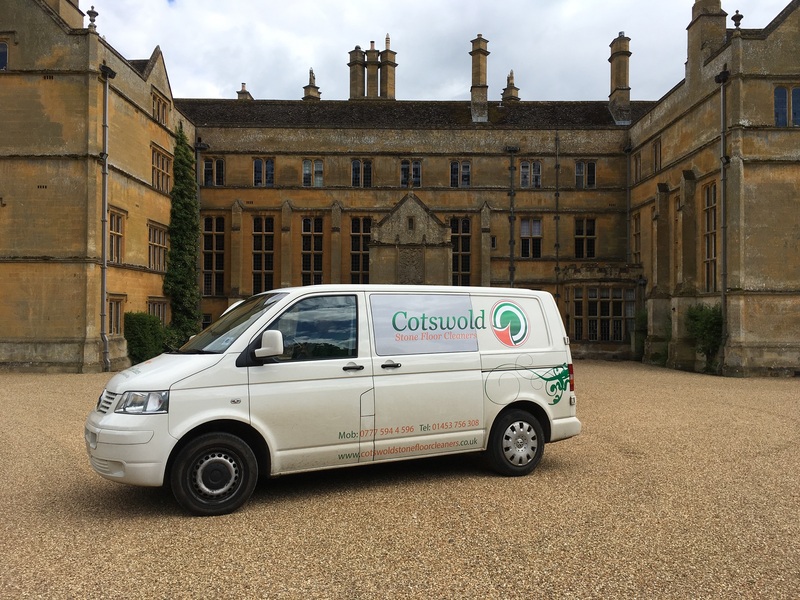 Much of the work takes us around Gloucestershire, the Cotswolds and beyond. 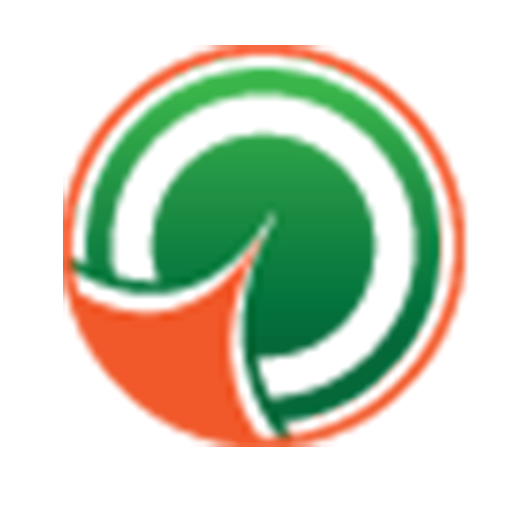 Our extensive experience of stone cleaning has given us a broad understanding of stone and the problems that can occur. 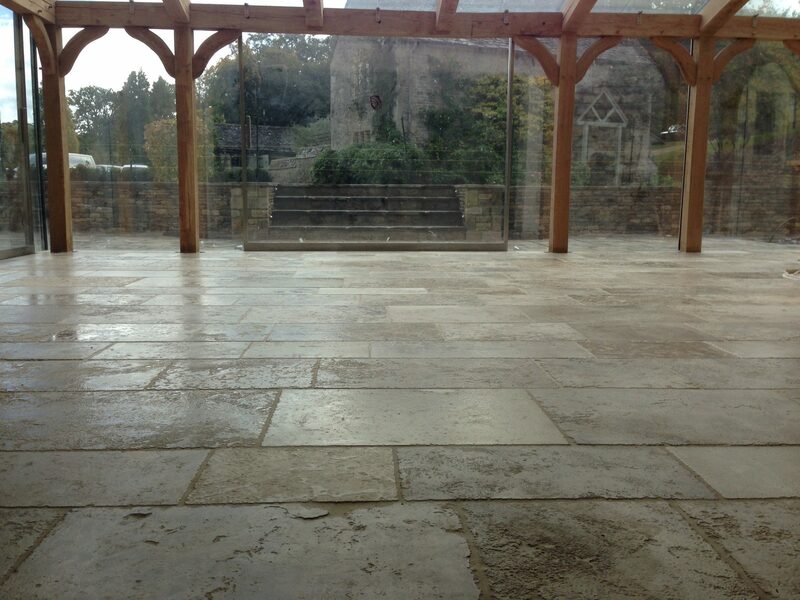 We began cleaning stone in Cirencester with a mop and a scrubbing brush in 1998. 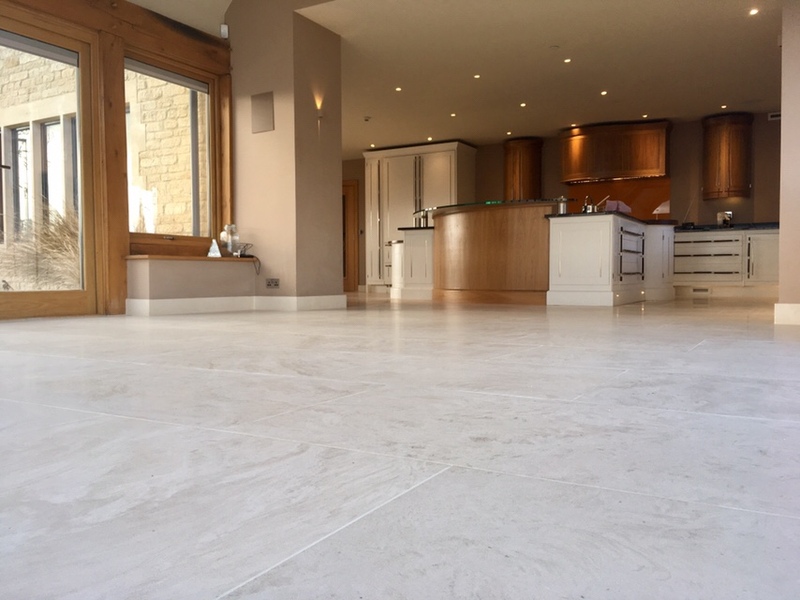 As our experience grew and technology within the industry advanced we began importing specialist equipment from abroad, giving us the ability to get the best out of the stone floors around the Cotswold area.